Connections are important. Who you know is usually one of the first things that comes up when meeting new people. I think this is especially true for musicians. It seems like every time I meet a musician there is a brief discussion revolving around where we went to school and if we happen to know so-and-so, a vocalist who graduated four years ahead of us. Kidding aside, these personal and professional relationships are incredibly important to us. Good connections can determine where we work, and they can influence our playing and musical development as well. A special part of membership in the Civic Orchestra are the connections we make with CSO musicians. CSO musicians coach us in sectionals before each concert cycle. I play trombone and the low brass sectionals are run by Jay Friedman. Mr. Friedman joined the orchestra in 1962 and has been principal trombone since 1964. Receiving his input on our section’s sound is invaluable. After all, he has 54 years of experience playing in Symphony Center with the CSO. It’s especially important to get his input because successfully playing in this 112-year-old venue takes an awareness with which he is very familiar! For us, sectionals tend to follow a similar pattern. Everyone comes very well-prepared, having learned their parts as well as the all-important context in which our parts exist. We play through the major sections and solo parts, then Mr. Friedman stops us to offer his suggestions. We all have a good idea of how the piece goes and generally how our parts fit together, but Mr. Friedman is always meticulous, trying to give us that ‘special something’ that will make our section sound great in the hall. Our most recent sectional was on December 2nd and we worked on the parts for Copland’s Third Symphony. Mr. Friedman aptly referred to it as “The Great American Symphony.” Our parts are full of open fifths and unison octaves, which gives it an “American” sound but also makes intonation challenging. Although intonation came up in our coaching, it was not as prominent as Mr. Friedman’s favorite topic, style. He has very clear ideas about how the trombone should sound in every situation. Since he essentially has played all this repertoire before, he has an intimate knowledge of how it should sound. I couldn’t possibly explain all his ideas in one blog post, but I can plug his personal blog, where he discusses ideas of music and brass-playing: www.jayfriedman.net. Besides being enjoyable and informative, our sectionals allow Mr. Friedman to hear us each in an orchestral setting which, fortunately for our section, has led to some great musical opportunities. 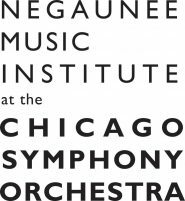 I recently had an opportunity to work with Mr. Friedman and the CSO for the performances of E.T. The Extra Terrestrial. When I sat in the trombone section I had another chance to learn from Mr. Friedman as well as the other members of the orchestra, especially the brass section. It is a different kind of learning process. We thoroughly break apart everything in our Civic sectionals, however, there is no time for that with the CSO. Things happen a bit faster and changes are expected to be instantaneous. Civic is a wonderful orchestra, but I don’t think anyone will complain when I say it’s not quite the CSO. Learning the music may be different, but it’s valuable to learn repertoire and orchestral playing in both ways: going in depth to break things down as well as having to figure things out on the fly with limited time. Our chance to work with CSO musicians is a big part of what makes Civic so special. It is great to play in Orchestra Hall and have access to Symphony Center, but the experience would not be complete without our coaches. Playing for them and with them is a great opportunity to make a meaningful connection with the highest quality of musician. I am thankful that Civic has given me that opportunity.